The April weather in Maine’s Southern Mid-Coast Region was still on the cool side, and in some respects, so was the Bath Real Estate Market. Bath did see a good smattering of new listings come on the market. The Maine Open House Weekend was May 2-3, and Buyers were out in good numbers, so hopefully, enthusiasm to purchase is building. April ended with 83 Current Listings (up 8 from March), 21 Pending Sales (up 4 from March), but only 7 Closed Sales in April (down 2 from March). We also saw Average Sales Price to List Price Ratio improving again, up to 98% in April. If we compare April 2015 to April of 2014, Bath’s Spring Real Estate Selling Season continues to lag this year: 83 Current Listings this April vs. 75 in 2014; 21 Pending Sales this April vs. 38 in 2014; and 7 Closed Sales this April is the same as April 2014. The significantly lower Pending Sales figures sets Bath up for fewer closed sales in May and June. Keep in mind that sales which closed in April were most likely put under contract in February or March. We were in the deep freeze of winter in February, so we are still feeling the impacts of Mother Nature in these numbers. Now that the tulips are blooming, and everything is turning green, maintaining curb appeal is again possible! If you plan to buy or sell a home in Bath, call Maine Home Realty today! 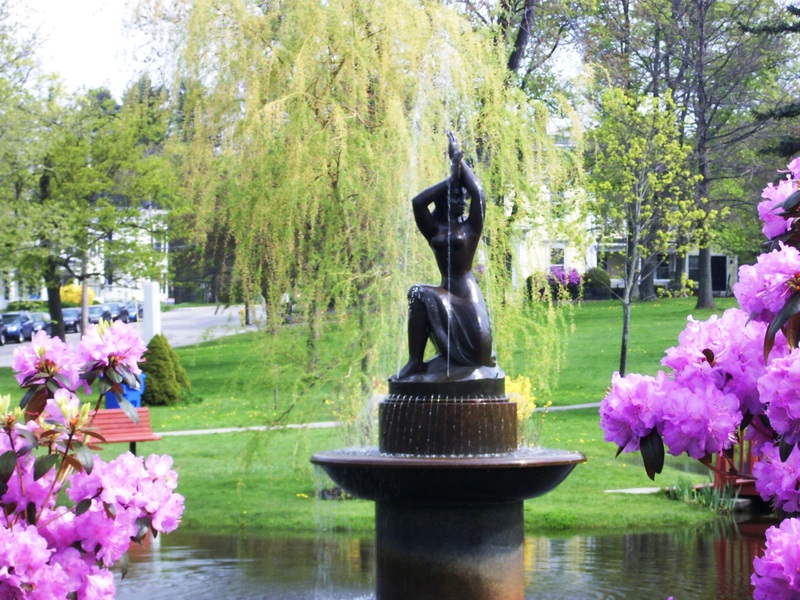 This entry was posted in Market Info and tagged Bath Maine, Bath Maine Home Sales, Buy a home in Bath Maine, Maine Home Realty, Maine real estate sales, Public Art in Bath ME, Real Estate, sell a home in Bath Maine, Spirit of the Sea. Bookmark the permalink.